New Orleans At the crack of dawn something was passing in front of the house. There was some solitary shuffling, some rattling, a shout of “come on!,” and the deep, hollow blare of a long horn. I didn’t move a muscle. No reason to heed any of this. 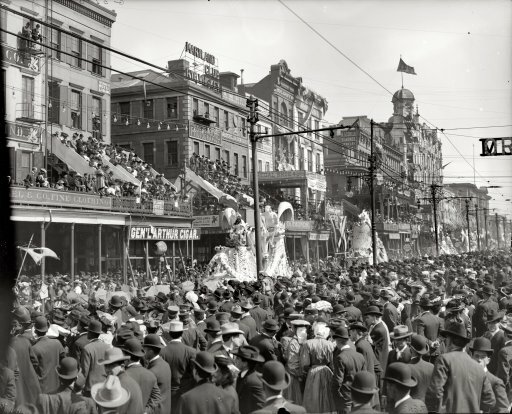 Today is Mardi Gras in New Orleans, and that was simply the sound of someone having a personal parade. Worth thinking about but for all the finger pointing and harrumphing around the world about New Orleans and Mardi Gras, perhaps the world would be a better place if there were more opportunities for people to have their own personal parade from time to time? There are a lot of worse ways for people to make their mark than by grabbing a long horn and letting out a deep cry in the early morning fog to greet another day. 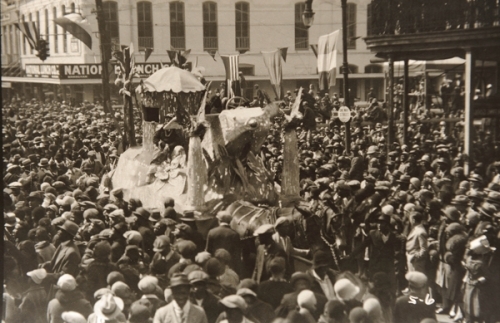 This entry was posted in Ideas and Issues and tagged mardi gras, New Orleans, Personal Parade by Wade. Bookmark the permalink.